A mentally challenged girl was raped allegedly by a worker inside a government hospital in Haryana's Yamunanagar district, with CCTV footage of the health institute helping police arrest the accused. 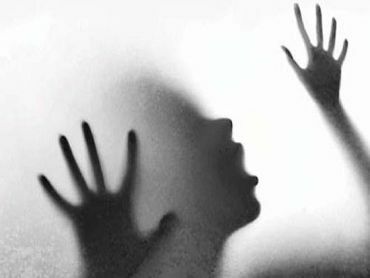 "The mentally challenged girl was raped by the youth, who is aged around 22 years, and works at the Yamunanagar Civil hospital on contract basis as a helper," Deputy Superintendent of Police (Headquarters), Yamunanagar, Adarshdeep Singh said. The girl was brought to the hospital by the local police after she was found roaming on a road on Tuesday night, the DSP said. "Seeing her condition, the girl was taken to the hospital by the police as she was unable to give any details about herself or her family," Singh said. The assault, which took place on Wednesday, came to light when a staff nurse noticed some suspicious activity and also heard the cries of the girl. "She noticed the accused fleeing a room and found the girl crying. Subsequently, the police was informed," he said. The CCTV footage of the hospital showed the accused taking the girl from the room where she was admitted to another room. "The accused, Vijay Kumar, was arrested on Wednesday. The girl is being treated at the hospital. The medical examination of the girl was conducted which has confirmed sexual assault," said Inspector Kulbir Kaur, SHO, Women Police Station, Yamunanagar. A case under relevant provisions of the law has been registered at the women's police station against the accused. Asked about the age of the girl, Kaur said, "given the fact that the victim is mentally challenged, she has not been able to tell us her exact age. However, she appears to be in her early twenties"
In February this year, a woman who had delivered a baby, was allegedly sexually assaulted by a man inside the intensive care unit of a private hospital at Bahadurgarh in Haryana's Jhajjar district.